One consistent and relentless trend that has been happening for the past decade now is the major focus upon creating a hockey player with sport-specific skills at the expense of creating a real athlete. That is, trying to create great players without first creating great athletes. This is a major mistake and is one that is normally made by coaches who don’t know any better. Specializing in athletic development too early is something no high-level coaches are on board with, I can tell you that for sure. “Elite goalies” who can’t even do cartwheels, and yet they want to learn how to do power saves. “Elite forwards” who want to improve their speed and agility, but don’t even have the coordination to do squats or lunges properly. “Elite defensemen” who are more worried about what kind of stick they should buy this year instead of learning the footwork they need to become well-rounded athletes. For the most part – these kids are excellent players, but terrible athletes. They have no motor skills other than the ones that are exclusive to their sport. Beyond this – many of them are tired and burnt out because all their parents and coaches are having them do is hockey-only work and the moment I introduce them to something new they get a spark in their eye and start actually having fun again. This happens in every profession, not just sport development. First and foremost, physical education in school continues to get more and more embarrassing. This is where we used to play ALL sports and it has just about disappeared from public school systems – it also doesn’t help that on top of this our kids are glued to screens more often than not, so this issue here is a double-hit. Second, with the advent of the media scaring everybody about everything and painting the picture of the world as if it’s some death-zone – this leaves the parents who both have working jobs to find some place for their kids to go after school that is a supervised and restricted environment. Back in the day, these kids would be running around playing, crawling, climbing, jumping, and playing whatever sport their friends did that month. Crime and societies mistrust in citizens has eliminated a lot of free play, and this free play built athletes. This free play is vital to athletic development because if you have read my extensive work on youth athletic development in the past (1, 2, 3, 4), these are the most valuable skill development years of their lives (typically between 5 and 12 years old). This teaches athletic development which is what these kids need right now, not player development. Another problem is that organized sports are the ONLY form of play a lot of kids get nowadays, and although this sounds like it’s not a problem, I’m completely alarmed at how few coaches actually know what biomotor skills are and how essential it is for their team to develop them. Almost no coaches prioritize proficiency in movement development (skipping, jumping, rolling, tumbling, galloping, crawling, etc). Most of them are too busy teaching specific, technical, and tactical aspects of their specific position – to make a better player and not a better athlete. This is having the cart before the horse, my friends. This is also why you see so many injuries in youth athletes now when this used to be non-existent, they lack foundational work and have chronic overuse injuries by constantly doing the same movements year-round. This creates real and damaging structural imbalances they eventually manifest themselves in injuries, usually in the knees. Some parents or coaches will want to solve this problem, so they’ll bring in the “plyometric, balance board, stability ball, explosive, throw some hurdles in there, put a ladder on the ground and maybe attach a parachute to them too” kind of coach. I’m not – complication does not equal sophistication. Too many people think that if it’s more complicated, it MUST be better. In this case, it’s not. Because they get it, they have just been sold that they “need” to specialize early with their youth athlete and they “need” to buy all the fancy equipment. This is marketing and not science. Some parents and coaches will get it, some won’t. The ones who don’t will drive down the street to the guy who does have all the toys – but that guy is using those tools to create a successful business, and not create successful athletes. So, how do we fix this issue? I’m doing it right now, by properly educating the coaches and parents on what’s real and what’s not – this is the whole purpose of this article. I want to be real with you – I am speaking to you from a coach who has developed hundreds of youth athletes, but also as a coach who has the utmost passion and respect for my field. 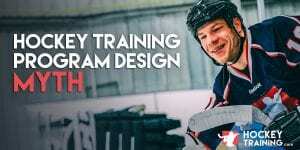 Your children need proper progression and development to succeed in hockey. Proper progression in hockey success is no different than proper progression in academics. First you do a lot of basic stuff, and then you can get into the fun stuff. DO NOT be persuaded by coaches using big words and who have fancy equipment, remember that some of the best things in life are the most basic and available to all – like your neighborhood park. Concentrate on your child’s athletic development, not their positional development out on the ice. I want you to remember back to your early years of life. Remember all the gymnastics and track and field events you hated doing at school? Remember all the “useless sports” you used to play like tag, dodgeball, kickball, and 4-Way soccer? In my high school in London, Ontario – no one graduated unless they had three physical education credits, no matter how much you didn’t want to do it. And in my elementary school, we did every single sport you could think of, and then my friends and I did even more during recess and after school. It’s only now that both you and I see the benefit of all these activities. Do you see it in your child’s life today? If you can’t spend time playing with your kids in the park, which I understand is a lot to ask, put them in well-managed leagues and change the sports with the seasons. Hockey in the winter, basketball in the spring, soccer in the summer, and tennis in the fall. These aren’t mandatory, do whatever your child wants to do and will enjoy and whatever you have access to in your area. Don’t try and “keep up with the Jones’s” down the street who have their kid using advanced equipment before their kid is even ready for it. You’re reading the words from a coach who works with youth athletes, high school athletes, college athletes, junior players, semi-pro players, and multiple NHL players. I’ve been there and done this, youth athletes don’t need to be thinking about the toys of development until they reach an age of usually around 12-13. Science will tell you this, and my experience will as well. For all of you who are reading this right now who are focused on creating the best players, don’t forget where they come from – the best athletes. If you create the athlete, the player you want will magically appear. 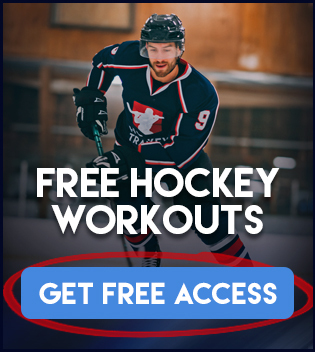 Proficiency and skill development is easy and very inexpensive to teach, and if you’re not sure about the training theory behind it all – check out the Youth Hockey Manual and Program I created to give you an easy to follow and easy to understand approach that is going to maximize your youth athletes development to a whole new level. You don’t have to know everything to do this thing correctly, just follow the advice in the manual and you will knock it out of the park. And don’t be afraid to ask questions, I’m always around to help and provide you answers rooted in science and common-sense and not rooted in financially dominated ways of thinking trying to sell and/or pay off equipment. Leave a question in the comments section below and I’ll help you out. If anybody is selling you a “quick fix” with their brand-new equipment, you and I already both know that quick fixes don’t exist. New and improved almost never beats tried and proven. Smart work and dedication will get you there – let me take you through the landmine field so you can get there in the most efficient way possible. If you’re looking to help your son or daughter become a better hockey player now, but also in the future, check out our Youth Hockey Training Program.